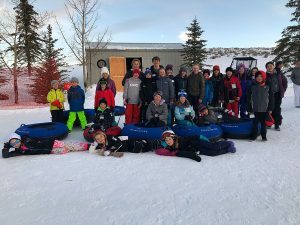 For Dave Kaufman, Head of School, at the Winter Sports School, there are always conflicting emotions when the school year ends and the graduating class gathers, one last time, for its commencement ceremony. Kaufman felt those same emotions again Nov. 21 this year as the Winter Sports School said goodbye to its 25-student graduating class. 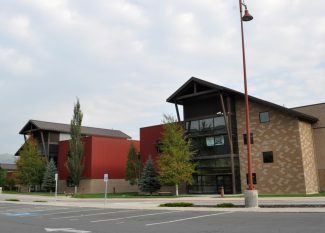 The school, which is designed to provide winter sports athletes with time off to train and compete during the winter, runs from April to November. 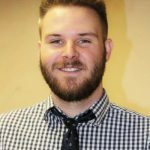 "Each graduating class is always a little bit different, and it’s always kind of a bittersweet moment," he said. "I’m so proud of them and proud I get to see them off and into the next chapter. But you never want to lose touch with them, and there’s that knowledge that they’ll never be gathered together in the same place at the same time again. It’s always a mixed feeling." The history of success students who have graduated from the school is no secret. There have been those who have gone on to Olympic fame, such as gold-medal skiers Ted Ligety and Josh Christensen. Many others have also made names for themselves in the sports world. Kaufman sees the potential for several of this year’s graduates to stand out, as well. "You never know until it happens just because the unforeseen always seems to happen in athletic competitions," he said. "But I do think there are a few people in this graduating class who have a real shot of competing very successfully at the international level. Some of them already have, in fact." While the opportunity to train athletically in the winter — and the success that amount of training can bring — is what draws students to the school, not all are seeking fortune in their chosen sport after graduation. Kaufman said it’s always interesting to see the variety of ventures students wish to pursue in the coming years. "Some want to make it onto the national team if they can," Kaufman said. "Others want to compete in Division I for a really good university program. Some others are thinking athletics were good through high school but now want to turn their attention solely to academics. Their aspirations are diverse." Regardless of where the future takes them, all of the students should be proud of graduating from a school that demands a lot, Kaufman said. A schedule that runs just seven months, from April to November, forces students to learn quickly and leaves little margin of error for those who fall behind. "Our school year is intense," he said. 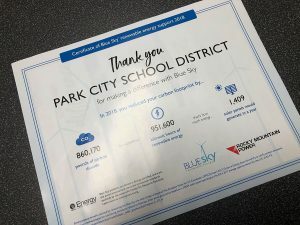 "It’s basically a seven-month year, and we still cover the entire college preparatory curriculum that they need. So it is compressed and intense. Then, when that’s done, they don’t just get to cool their jets and do nothing. They go straight into a very intense period of training and competition." As difficult as it is, that demanding schedule often leads to strong bonds between students. And that’s one reason it was bittersweet for Kaufman to see them gathered for one last time. "They all have kind of been through the same difficult experience," Kaufman said. "They’re all just trying to do their best at both athletics and academics for a long time." So what motivates students to get through the grueling schedule, when many others their age are content to simply attend school and lead typical lives? Kaufman said it’s a common thread running through every student who achieves success while at the school — one he sees in many of this year’s graduates: A passion for the sports they’re pursuing. "It takes a huge level of commitment," he said. "I think the thing that allows these students, at such a young age, to have that level of dedication is they’re truly in love with their respective sports. If they’re being forced to do it, or just doing it because they need to be doing something, then they’re probably not going to achieve at the level these young people achieve at. So they really need to love their sport and be wired for year-round activity." 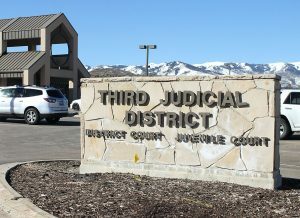 he Park City School District and a former school nurse Nicole Kennedy decided to settle the lawsuit and to reinstate Kennedy after undergoing a court-ordered mediation last month.